Nicole Payne: Beyond the Wail Cover Reveal and Trailer!!! It's time for another book cover reveal!! But this book I'm extra excited about as it includes one of my stories!! I still can't believe it's happening. I used to always be jealous of the authors who have made it to this moment and now I'm here too!! So surreal. 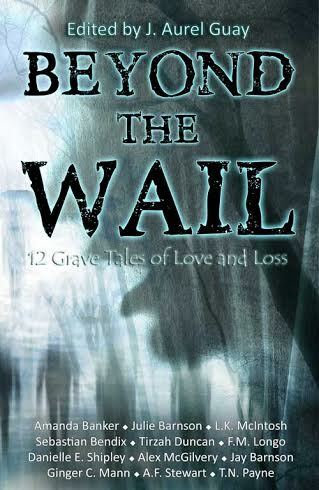 So now without further ado, I introduce to the world the cover and trailer of Xchyler Publishing's newest paranormal anthology: BEYOND THE WAIL!! Isn't it amazing!! Now mark your calendars. Beyond the Wail will be released October 10th. Only five weeks away today! !